TEACH YOUR CHILD TO CARE LESS ABOUT WHAT SPORTS TEAM THEY AR - ProudMummy.com the Web's Community for Mums. 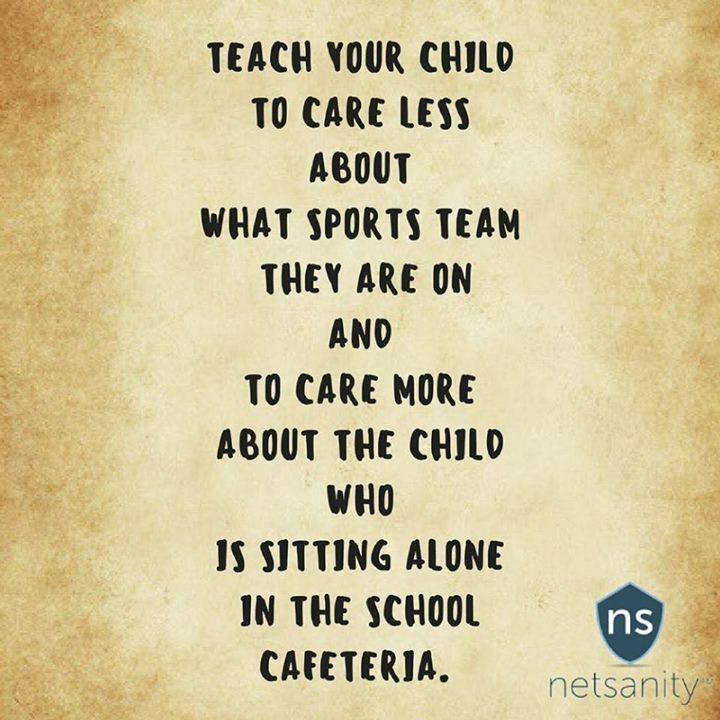 TEACH YOUR CHILD TO CARE LESS ABOUT WHAT SPORTS TEAM THEY ARE ON AND TO CARE MORE ABOUT THE CHILD WHO IS SITTING ALONE IN THE CAFETERIA. I need to shout this off the rooftops!!! !